World Football Commentaries: Part 1: "At the Origins of the Phenomenon Mourinho: 'How I Became Special 1' "
Part 1: "At the Origins of the Phenomenon Mourinho: 'How I Became Special 1' "
In a detailed interview for Sky Sports in February 2011, former Italian international, Christian Panucci, had a great discussion with José Mourinho on a variety of topics. Panucci also played for AC Milan, AS Roma, Chelsea, Internazionale Milano, Monaco, Parma and Real Madrid. 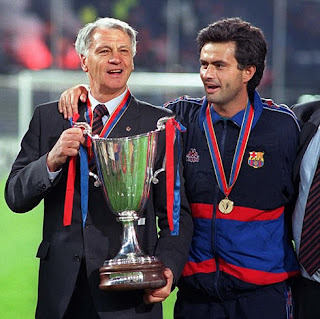 Part One of this translated discussion covers Mourinho's youth in Portugal, his early years as a school teacher with special-needs children, his decision to become a football manager, the influence of Sir Bobby Robson and Louis Van Gaal, along with his first years in professional management at Benfica, Leiria and Porto, respectively. You may notice that a new journalist, Christian Panucci, developed quick rapport with Mourinho. The result was lengthy quotes without the usual edge or arrogance that are common with many of Mourinho's past public statements. Please enjoy this discussion and learn more about another side of the Special One. CP: You graduated with a degree in motor science but you worked a great deal with the disabled. Did this experience serve you in your career as a manager? JM: For me, it was an incredible experience because everything is psychological there, it's all affection and emotion. You can prepare in University to work with them. but when you arrive there, everything is about passion, heart, direct rapport and empathy. I worked with children who had motor problems and then I worked also with kids who had mental and psychological problems. It's all love. You succeed in doing the little things which for them are big things. I was very young and at the same time in which I was training 14 to 15 year-old boys, I was working at the school with these children and for me this was a fantastic experience that you take with you for the rest of your life. And many times, I tell my players, when they are not happy, that they need to be always happy and that there are many with so many problems in life and these children are an example. A player has to exploit his life as a player that only lasts 10 to 15 years and therefore needs to be happy every day. CP: Your father was a footballer and your mother was from a well-to-do family. In a Portugal during the 1970s of great changes. How did you live in these years? JM: With a little bit of fear, because after the revolution, everyone had hope for a positive change but also feared a negative one. My family thought at times to get out of Portugal. Other times, instead, you thought that the change would be positive and that you had to stay. But at the same time, it was a moment of freedom, of freedom of expression. To experience this was a beautiful time. I always had a family without money problems. A family that lived in peace, but at the same time also was aware of reality. From my childhood, I had friends at the top of the social classes and friends who lived with great difficulties. This made me be prepared for everything in life. To know how to coexist, to live and get along with everyone. It was a time of change in Portugal and for me, a very positive life experience that prepared me for a lifetime. CP: When did you decide to become a manager? JM: I don't know. When I was a child, I didn't want to be a coach; I only wanted to be a player. I used to come home with a ball under my arm and not with a book to study like I trained. I wanted to be a player but at the same time, to study. It was always important because, without study, I didn't have the chance to play football because those were the house rules. Later, with a father who was a footballer (he was a goalkeeper) at home you learn to read a game in a different way. A little like me with my son now, that after a game, he asks me why I subbed out one instead of another, why did I do this and not that, who will play in the next match. You enter into a dynamic of thinking about football in a different manner than a child who doesn't have football in his house. I was able to be a star when I played with my friends near my house. But when I went into an organized league, I became a ordinary player like the rest. Later, I understood that I didn't need to be a great player like so many others. I understood also from a young age that I was more of a coach on the pitch than a player. I organized the team, I told who should play here or there for as long as the game lasted. When I didn't score, the game ended and I went home with the ball. I was a little more of a leader than a proper player. Then, I studied everything in an almost natural sequence. My father asked me to go watch opposing teams and take notes and this seemed to me to be a very important part to learn how to read a game and to learn how to express what I saw. Because it's one thing is what you see and it's another thing to be able to make others understand what you have seen. And this helped me a great deal. Later, when I went to college and was about to finish, I started to work in the youth sector. Later on, the possibility to become an assistant in the first team came. Everything was gradual and, experience after experience, I was always arriving at more difficult opportunities. “The Englishman quickly understood that Mourinho was more than simply a translator and asked him to watch forthcoming opponents. ‘He’d come back and hand me a dossier that was absolutely first class. 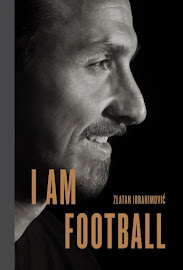 I mean first class,’ Robson told the journalist Patrick Barclay, who has recently (2005) published a fine biography of Mourinho, subtitled Anatomy of a Winner (Orion). ‘As good as anything I’ve ever received. Here he was, in his early thirties, never been a player, never been a coach to speak of either, giving me reports as good as anything I ever got.’ "
Source: "The Second Division was My Level." CP: What did you take from Louis Van Gaal and Bobby Robson? Van Gaal was exactly the opposite. Van Gaal would arrive two hours (before the training session) and all of these details were prepared by him. What we assistants did was train. I, who didn't train that much with Bobby, I really trained a lot with Van Gaal. And for me, this was important because the experience was completely different than the other. He gave me the team and went into the stands. It was all my responsibility. This for me was fantastic. I always say that Bobby gave me a fantastic opportunity to go to Barcelona, because I went with him. But then Van Gaal gave me self-esteem and a confidence that have prepared me a great deal. CP: Therefore you won the Catalan Cup at Barcelona! When you decided to return to Portugal, what did you think about in that journey? JM: I don't like to drive too much, but I like to be alone in the car. On that journey, I thought that a completely different new life awaited me. That I was prepared, I went back to win and could make a difference. I had a conviction and a very high absolute self-esteem and I was very prepared. I thought about going to Portugal to a team that was not among the three top sides and I thought that the normal road would be to take a mid-table side and then I could move up. But then I arrived in Portugal, and my former manager, Jupp Heynckes had been sacked and I went to Benfica. Who for us in Portugal is like AC Milan, Inter Milan or Juventus. And for one who had never been a manager, it wasn't an easy experience. I arrived at a giant club. In Portugal, it's similar to Spain and the presidents are a political group. And after I was there for two months, there was a change in presidents. We had won against Sporting, 3-0, but it was a must-win situation for me. There was an enormous change in the club and those who selected me were gone. The people who arrived and who won the elections were those with completely different ideas from mine and I knew that I absolutely coudn't continue. You can imagine being at Benfica, the team is doing well and getting better and with the sensation to be able to win the championship. And to leave by virtue of an initiative is a very difficult sensation. Then I went to Leiria which is like a team that battles relegation in Serie A.
CP: And you performed a miracle: You arrived in fifth place. JM: No, I ended up in third place. During December in Portugal, it's possible to change teams in the same season. It's not like in Italy and Spain where you can only manage one team. And we arrived there in December. We were third and at the end of the season, Leiria finished in fifth. But without me for the last six months. I arrrived in December and Porto was experiencing a profound crisis. At that time, it was fifth, sixth, seventh and the President of Porto, who knew me from when I was an assistant to Robson at Barcelona, wanted me and his idea was in that year, we couldn't win anything because we were too far behind and only could look to finish in position for the UEFA Cup. To finish in the top five, and in the next year, build a team that would return to win. I remained at Leiria only from June to December and then I went to Porto to manage the second part of the season. We finished in third place and we reached the position to play in the UEFA Cup in the next season. CP: But there you built your own team for the first time. JM: Yes, it was perfect. Porto was a team with two Portuguese when we arrived. It was a team of Brazilians and Argentineans. It hadn't won anything and there wasn't empathy with the fans. It was a huge problem. I had been in Portuguese football for six months. I knew all of the Portugese talents that played in the smallest of teams. We bought 12 players and all of them were Portuguese. All of them played in small sides and we thought that they had the capacity to play in a great side such as Porto. The players were Paulo Ferreira who is now at Chelsea, Carvalho who is at Real Madrid, Nuno Valente who has retired, but who played for the national team in a World Cup and Euro. Maniche who played with Chelsea and the national team. All of the players who became important for Porto and the national team and who had great careers. It was a team in which I said in the preseason: 'We haven't won anything. Either you or me. Zero for all of us. Zero Titles.' It was only Vitor Baia who at the age of 32 had won something, but all of the rest, nothing. And later, together, we won the league championship, the UEFA Cup and UEFA Champions League. We won everything that a team starting out from nothing could win. CP: If I'm not mistaken, you played with a 4-4-2 formation? JM: We played with a 4-3-3 in the league and with a 4-4-2 in Europe. We were a very organized side. Tactically very disciplined. We had Deco who in those days was 23 or 24 years old. He was at the top of his career and was a briliant player who played behind two strikers. It was a very disciplined team tactically with a great desire to win, and an enormous concentration that was difficult for us to lose a game. In Portugal, if you are a good side, you win the league. It's not difficult. Because basically, it's a championship with two to three teams and there is a great difference between those three and all of the rest. But in Europe, I think that playing in the UEFA Cup was important for us because the team wasn't prepared to go directly from games against small clubs to the best of the Champions League. To play in the UEFA Cup, I think it was important for this team because in the second season, when we arrived in the Champions League, we were champions of Europe. We had played the European Super Cup against AC Milan. The players had already played in the national team and when we arrived in the Champions League, we were already a team with a sufficiently important background. Mourinho discussed his time with Porto, opening his doors to the Real Madrid basketball coach, the situation before and after he arrived at Chelsea, his relationship with Roman Abramovich and differences between English and Italian media. Italian source of quotes: La Gazzetta dello Sport, 3 February 2011, "Alle origini del fenomeno Mou: 'Come Sono Diventato Special 1' ".